Those busy days when cooking is completely out of the question are often the ones that throw us off our healthy eating plans as we tend to just grab anything quick and convenient. The way to avoid that is to plan, plan, plan. Meal prep makes sticking to your keto diet really easy and when you’ve ran out of your prepped dishes, we’ve got some tips for you to still keto on the go! Below are some delicious recipes that are super simple to make and will keep you on track when you’re following a low carb lifestyle. I’m so happy that I found this recipe! Indian cooking is comfort food for me, so many aromatic flavors and spices. 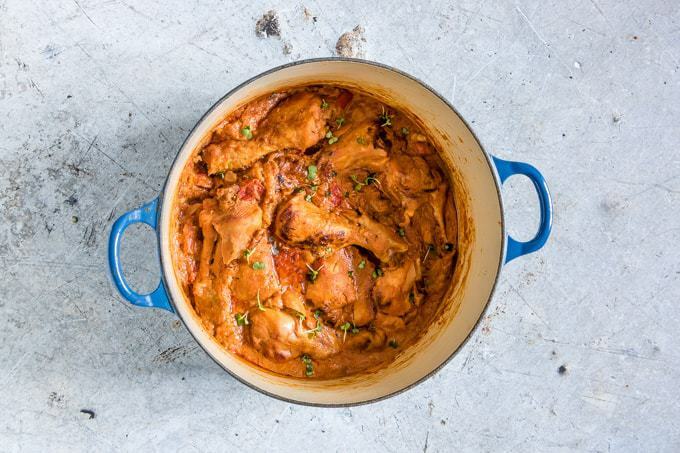 This Now and Later Butter Chicken recipe uses an instant pot which makes cooking your favorite recipes so quick and easy. Served over cauliflower rice or zoodles, you’ll want to make lots of this so you can serve it up later during the week. 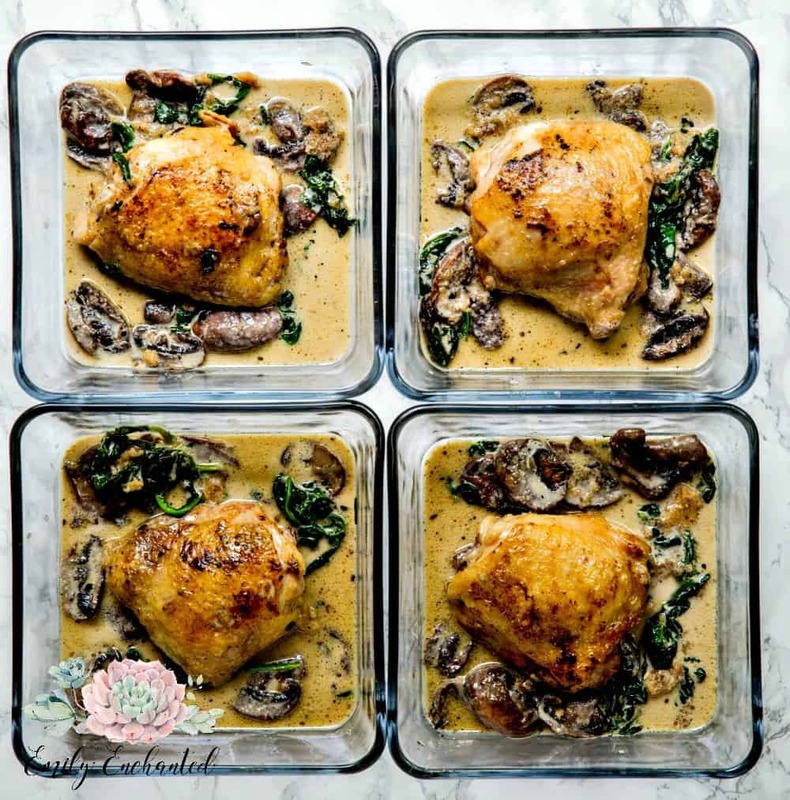 Spinach, mushrooms and parmesan cheese makes this Keto Chicken Florentine recipe deliciously comforting as well. I love that Emily has provided instructions with the recipe on just how to meal prep this dish. Serve with your favourite steamed vegetables for a quick weeknight dinner or take a container with you to the office for lunch. How divine does that look?! These are the ultimate portable snacks for you to keep in your purse on a long commute or to snack on at your desk. 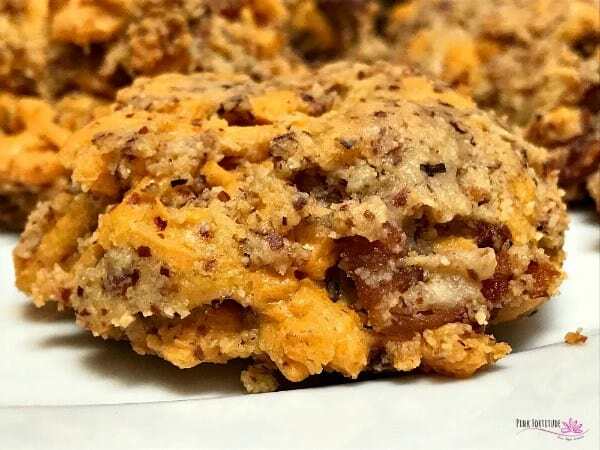 These Keto Cheddar Bacon Biscuits are perfect for someone who works from home and often forgets to eat until utterly ravenous and in need of food, NOW. 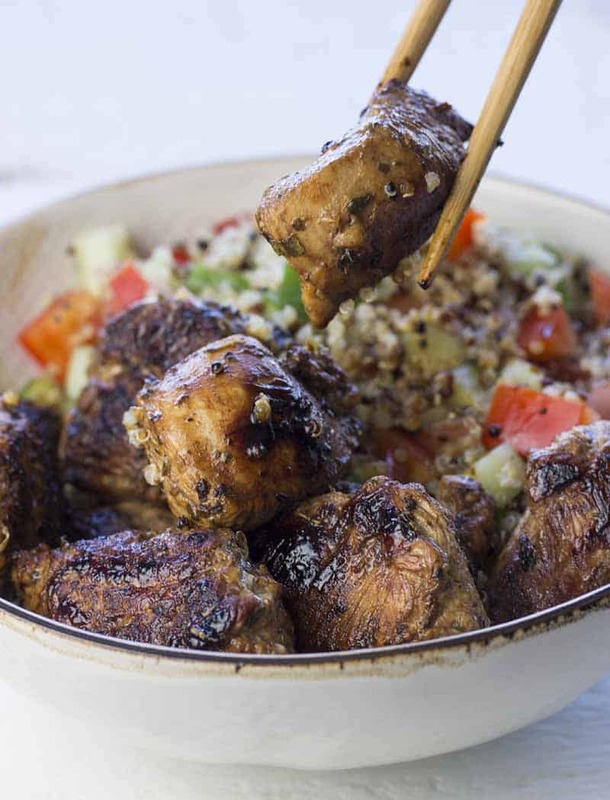 How about this twist on your favourite chicken stew? This stew has a creamy peanut base! It’s called Keto Chicken Groundnut Stew and looks amazing and filling with lots of veggies added inside. A good stew will need a great container to be portable. This container is microwavable and dishwasher safe with a vented lid for splatter proof reheating. Yummy! Crab cakes are delicious but often filled with bready fillers. 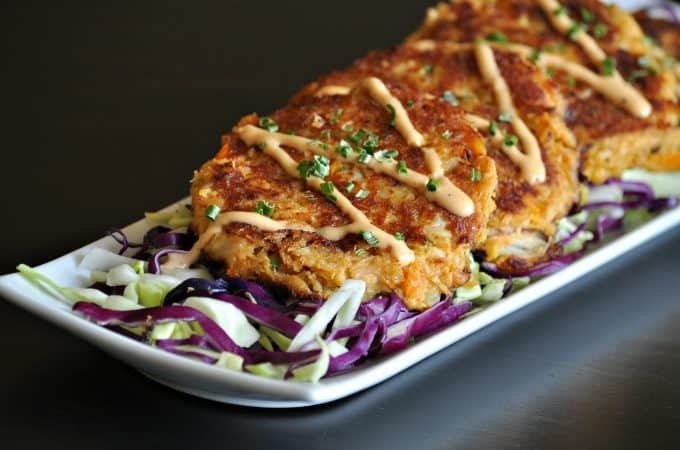 This Cajun Trinity Keto Crab Cakes recipe should be a go-to for everyone not just those on Keto! Crab cakes are also super portable and will keep you filled and on track with your health goals when you’re busy. It looks so pretty! 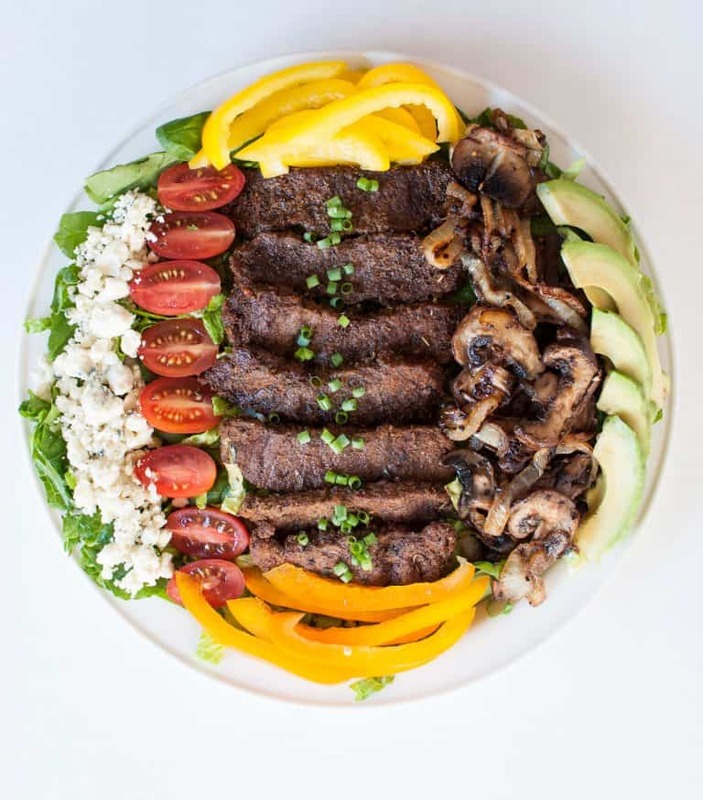 Dishes like this Keto Blackened Steak Salad show you the versatility of the keto diet and all the foods you’re able to enjoy while remaining healthily low carb. Make extra steak so you can carry with you on the go or serve later in the week over cauliflower mash. 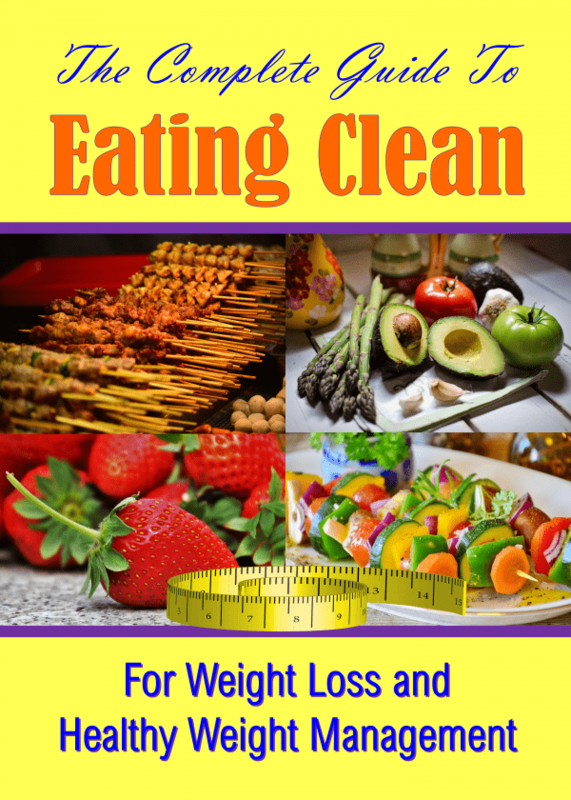 New to the Ketogenic Diet? Click to read our complete beginner’s guide to starting a Keto diet. 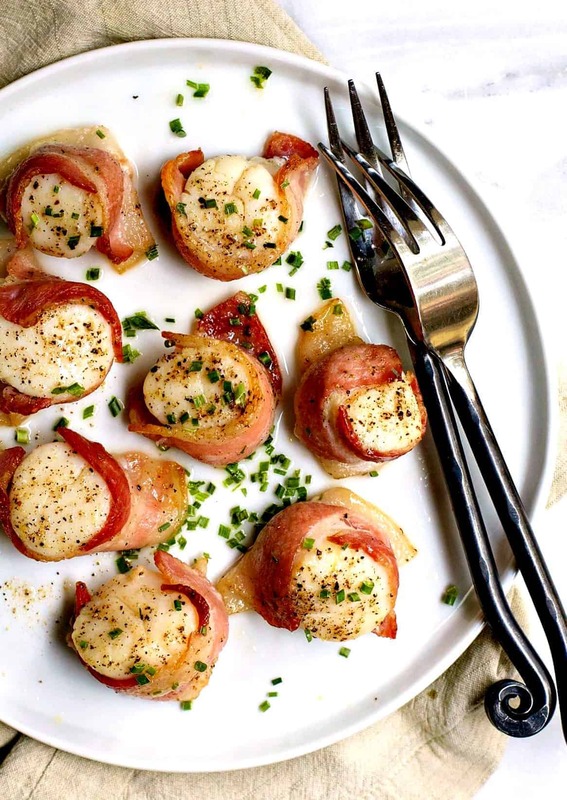 These Bacon Wrapped Scallops are perfect for snacking on, as an appetizer or over your favorite salad. 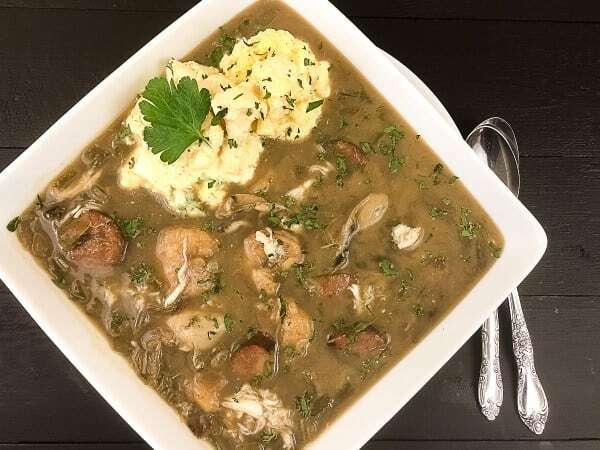 Can you make a keto gumbo? You sure can! This grain-free low carb Keto Seafood Gumbo with Riced Cauliflower Salad is the ultimate in Cajun flavors. It’s awesome when reheated too! “Potato” Salad anyone? Cauliflower makes such a nice potato substitute but I have never thought to try it out as big chunks for a potato salad dupe! This Low Carb Cauliflower Potato Salad looks delicious and is perfect for storing for the next day! 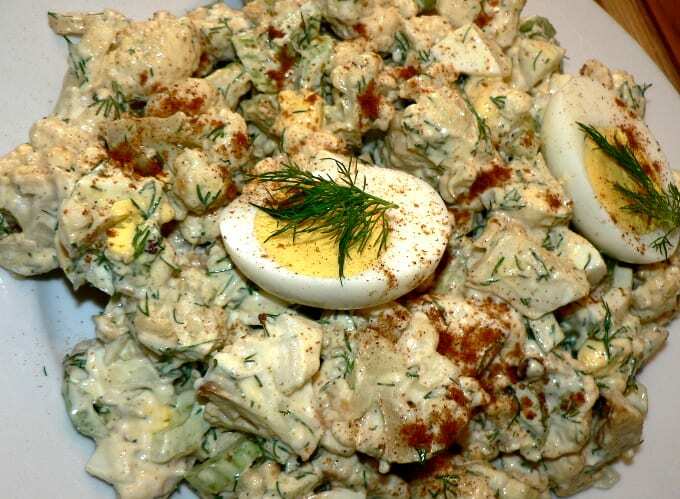 It would also make a great side for you to take to a picnic when you know there will hardly be any Keto friendly side dishes served. Yummy tortillas! 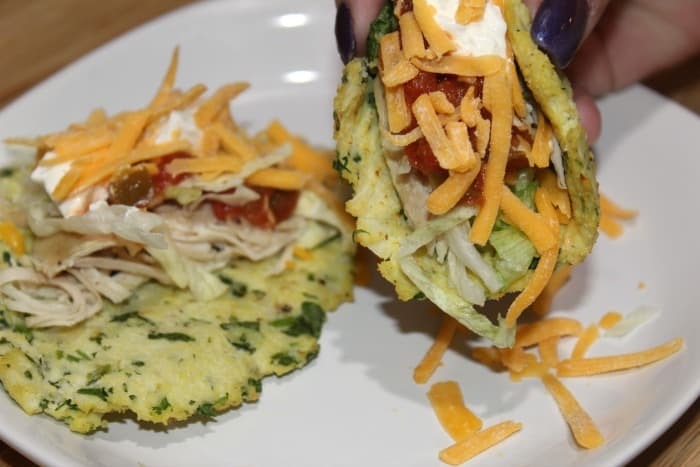 Used here as tacos, these Low Carb Tortillas made from cauliflower are versatile and flexible to mix and match with different sauces and fillings. It’s made here with herbs for extra greens and flavors. Mexican food is so flavorful and spicy that it would be a shame not to have any on this list. 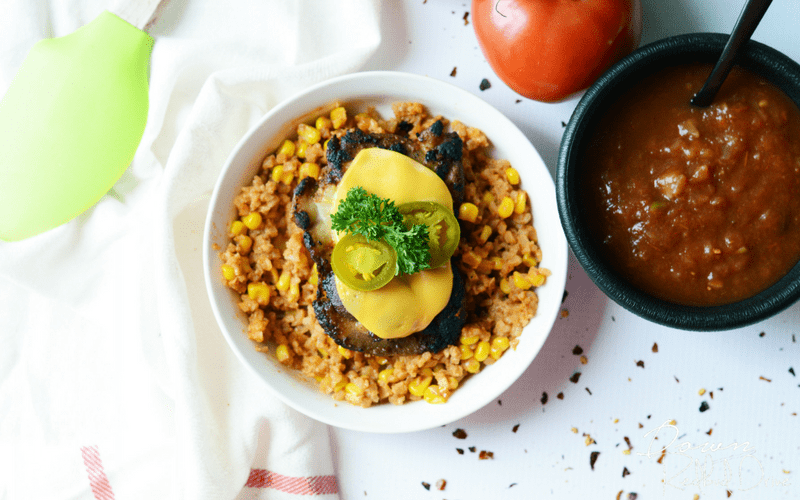 This Easy Mexico Chicken Bake comes alive with corn, jalapenos, salsa, nacho cheese and taco seasoning among other flavors. It’s sure to be a mid-week hit for dinner and a party in your mouth for your keto meal prep meals. 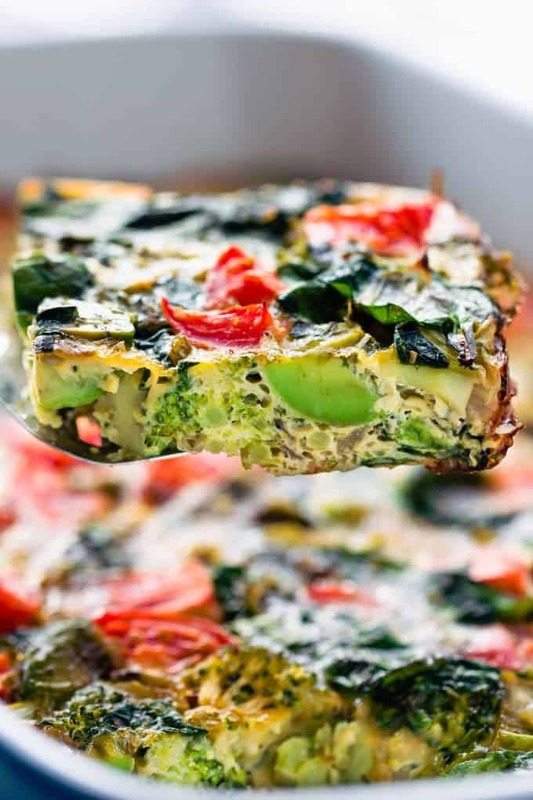 This Vegetarian Breakfast Casserole is so easy to make ahead of time for a quick and stress-free morning. It’s also whole30 and paleo friendly while being Keto. You can make it what you want by adding in your favorite veggies or even adding in meat if you’re into that. These Baked Mustard Chicken Tenders look so juicy and tender! These are the perfect protein idea for on-the-go keto friendly meals. I love that this recipe comes to us from a diabetes coach too. 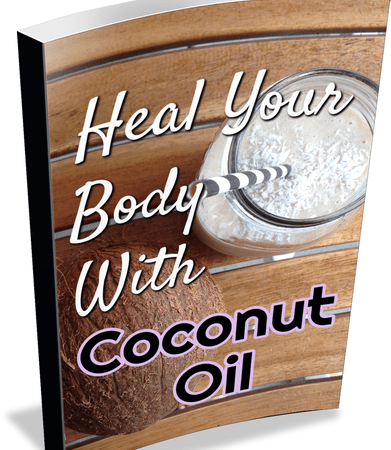 Be sure to click the recipe link to get even more delicious healthy recipes! Here’s another recipe from the diabetes coach! The balsamic vinegar in this turkey breast marinade helps to tenderize the meat an the herbs and spices add lots of flavor. 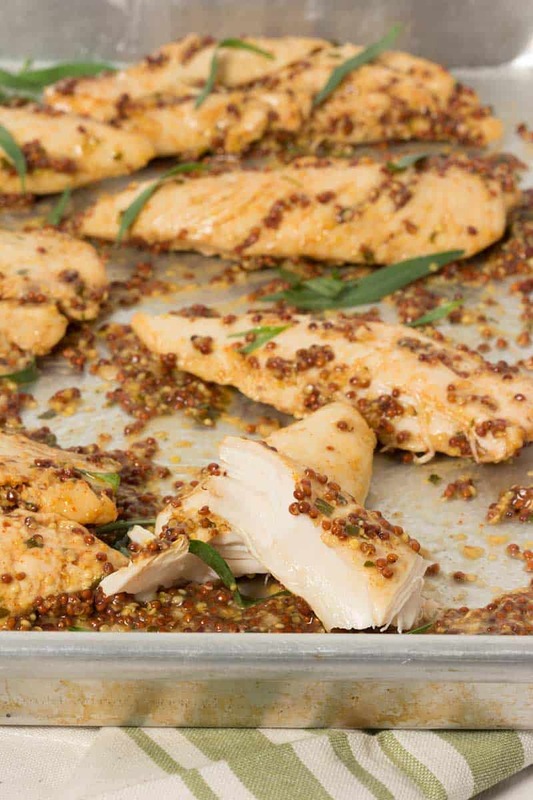 Another good one to take with you on the road, try out this Marinated Turkey Breasts Recipe. Pizza anyone? 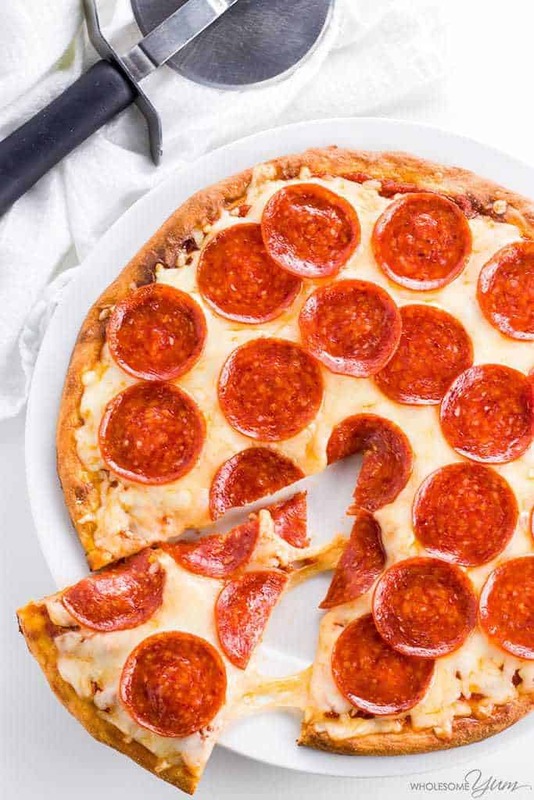 This Fathead Pizza Crust Recipe is gluten-free, nut-free and keto-friendly! How awesome is that? It looks incredible, definitely will be a fave at your next pot-luck. Your friends and family won’t even know it’s healthy pizza. 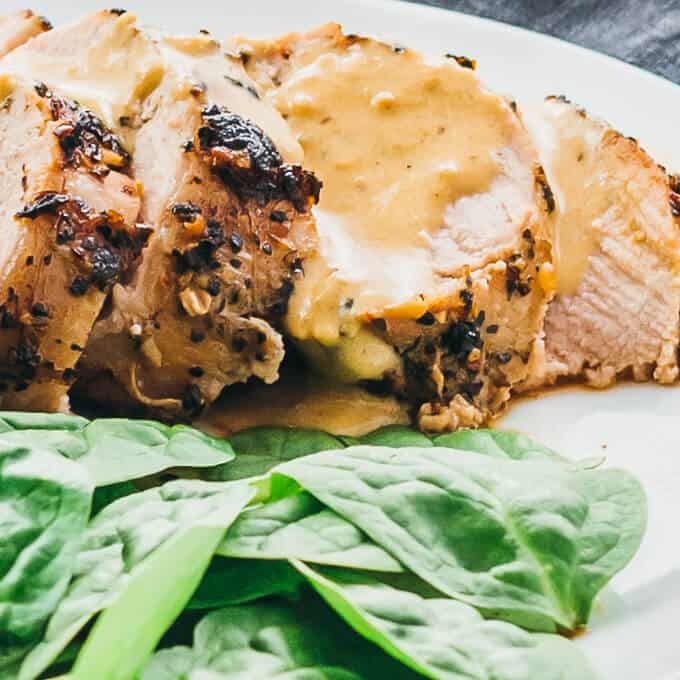 Pork tenderloin is exceptionally tender and juicy when cooked just right and this recipe Roasted Pork Tenderloin with Creamy Mustard Sauce pairs it up nicely with fresh greens. This would also be awesome with some grilled asparagus or other keto-friendly vegetables. Chicken thighs is a favorite in this house and this recipe promised only 4 ingredients but lots of flavor . 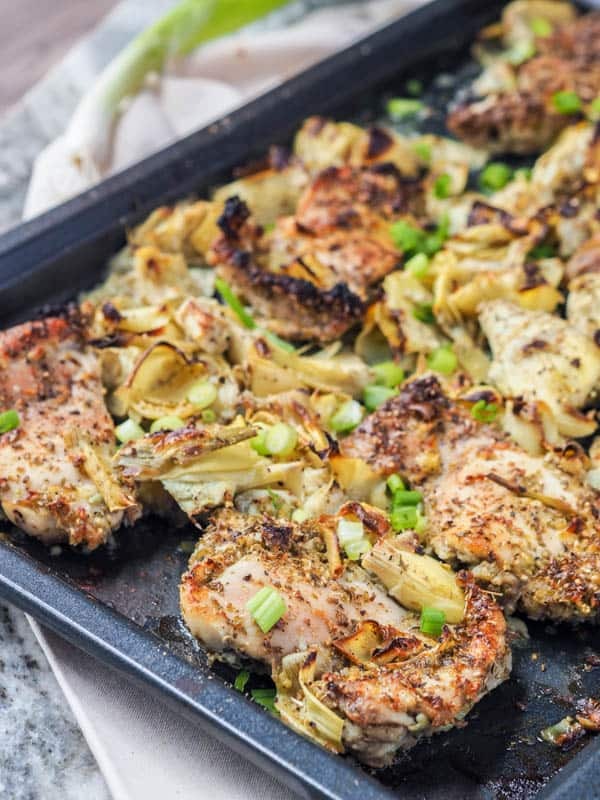 Try this Artichoke and Garlic Broiled Chicken recipe and remember to make extra for your meal-prep. Lasagna is the ultimate comfort food and it is a sad day when it’s banned from any healthy diet list of possible foods. 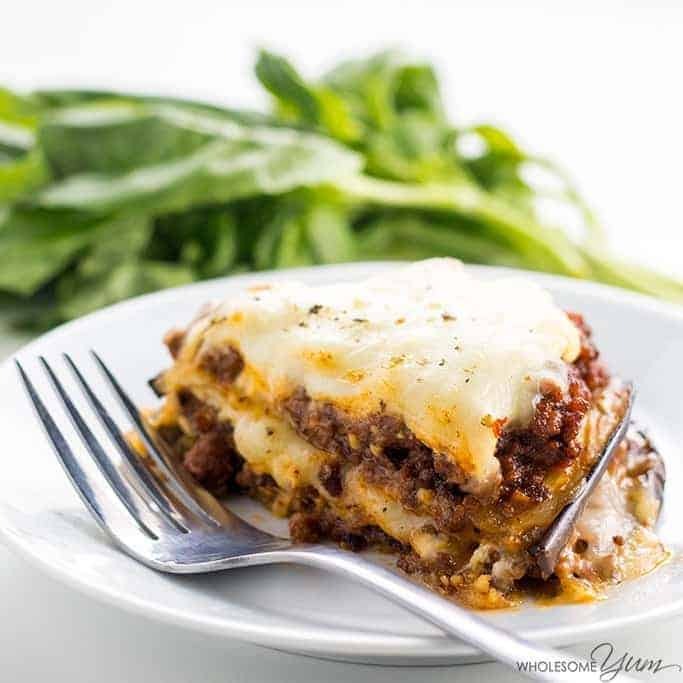 Luckily you can enjoy a healthy version of lasagna in a number of ways and this Eggplant Lasagna Recipe is keto-friendly and gluten-free. Enjoy! No meal-prep list can be complete without meatballs. 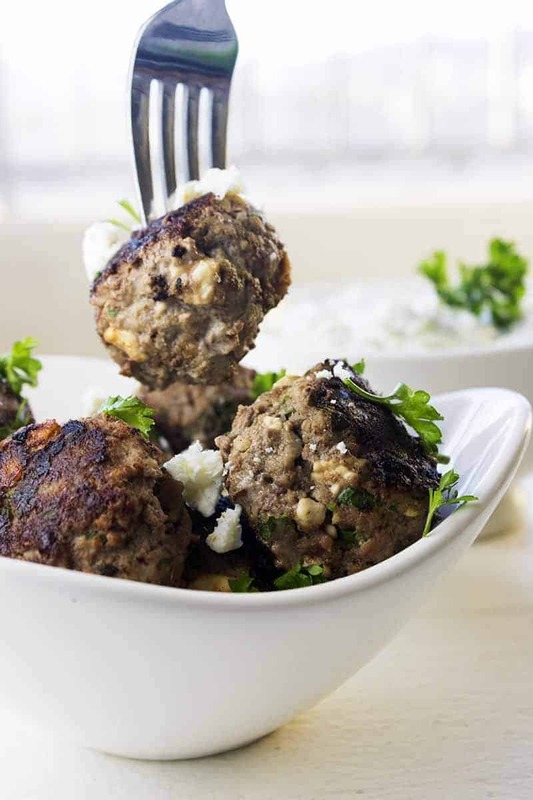 These are Keto Bison Meatballs with a Greek twist for a flavorful detour away from your usual meatballs. Give the recipe a try and be sure to make enough for meal prep! Beef and Broccoli is Chinese comfort food we know and love for its depth of flavors. This recipe uses an Instant Pot to take the work out of the recipe and make it super easy to throw together. 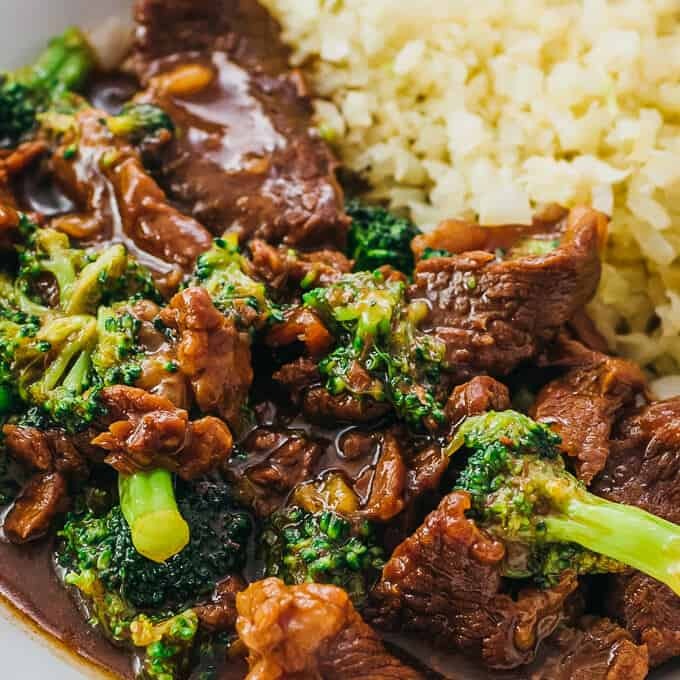 Check out this Instant Pot Keto Beef and Broccoli Recipe here. 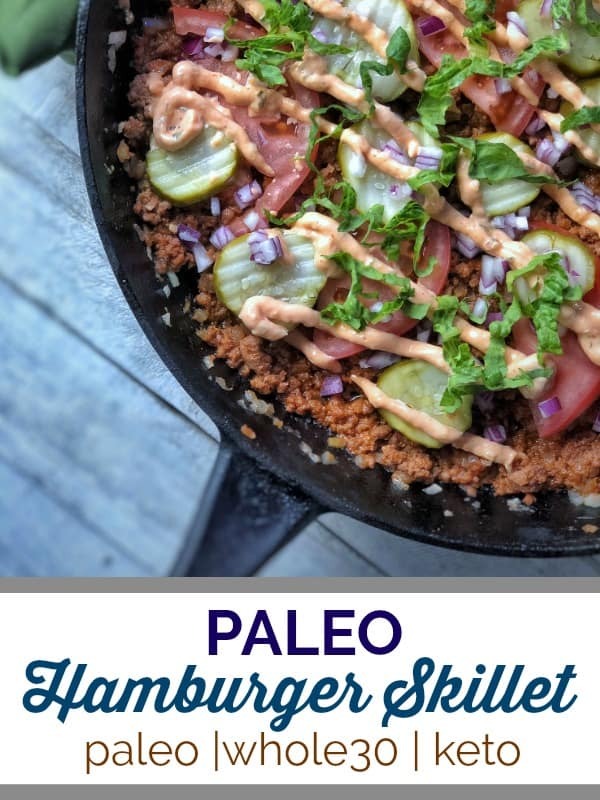 This paleo keto Hamburger Skillet recipe is perfect for weeknight dinner and to take to work next day lunch as the flavors get more robust overnight. The perfect happy hour food or on-the-go snack, these pork scratchings make for the perfect keto-friendly salty, crunchy snack. 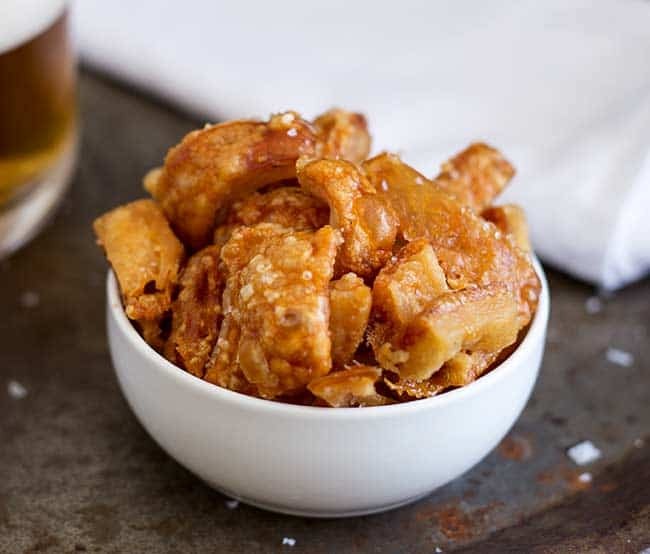 Get the recipe here for Crispy Crackling Bites. Sometimes you miss that bready taste and want to have a slice of something to go with your favorite spreads. 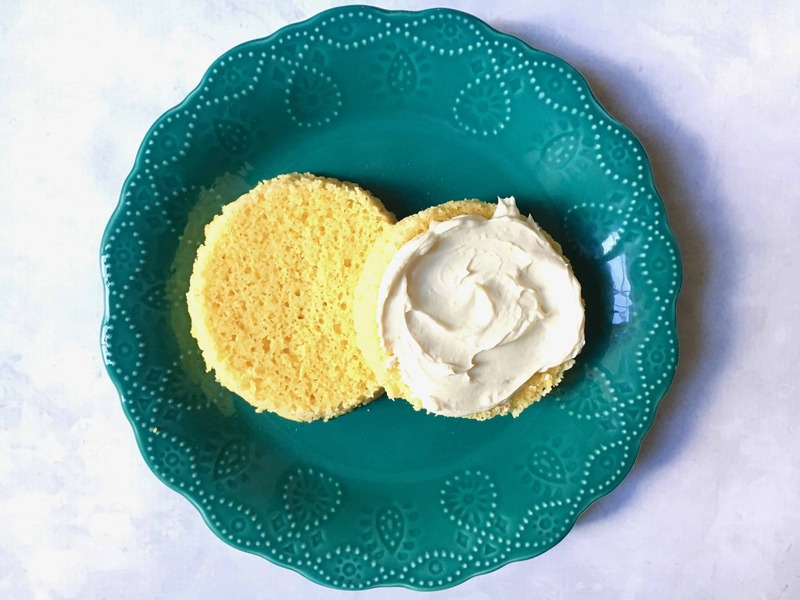 This 90-second Keto Mug Bread is here to save the day. Check out our other alternatives for what to eat when you have that bread craving. 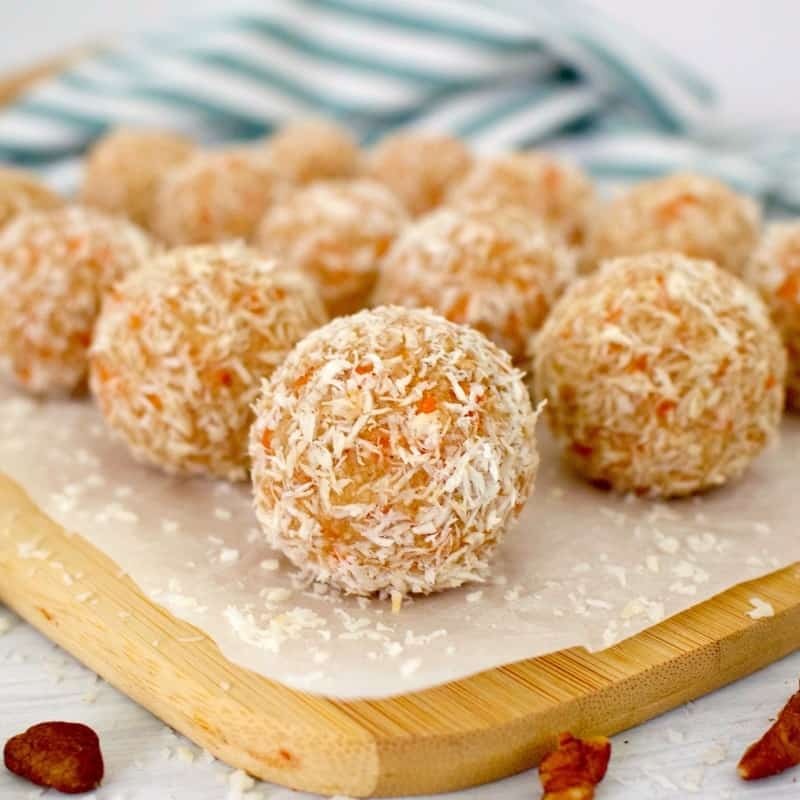 Rounding out this list for those who have a bit of a sweet tooth or need a good fat bomb to keep them in ketosis, these Carrot Cake Dough Bites will get you there and satisfy your craving. They’re gluten-free, sugar-free and oil-free and are perfect to grab in-between meals. 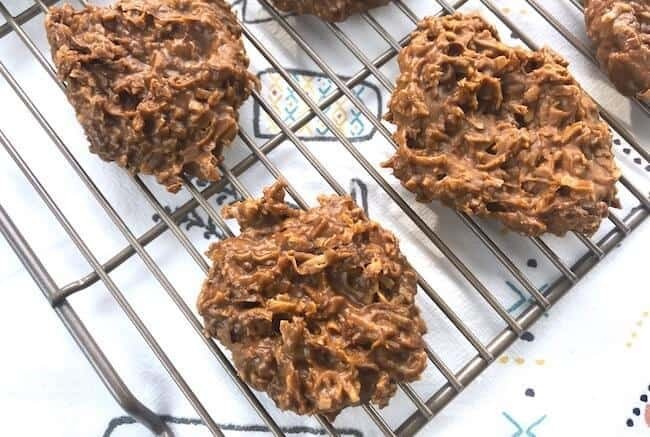 If cookies are more your speed and you love the combination of chocolate and peanut butter, these simple no-bake keto cookies are for you! Get the recipe here for Keto Chocolate and Peanut Butter Cookies. 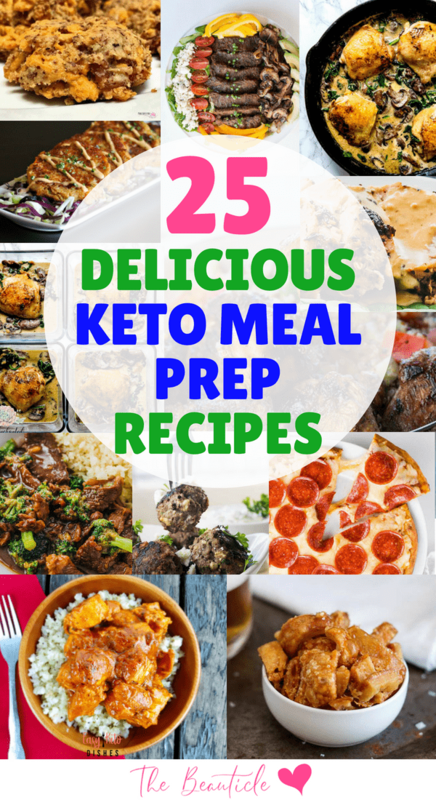 We hope you enjoyed this post on keto meal prep recipes that will help to keep you in ketosis. If you’re ever unsure if you’re still in that fat-burning state, check your ketosis levels using these test strips. Meal prep is great but what do you do when you’re out at a restaurant and wanting to stick to your low carb lifestyle? 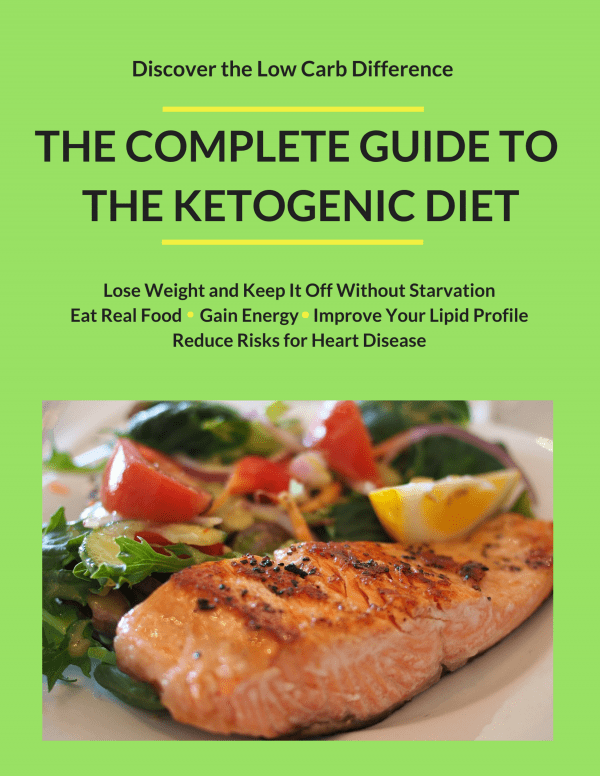 Download our free guide below to get your guide on how to maintain the keto diet when you’re out on the town. 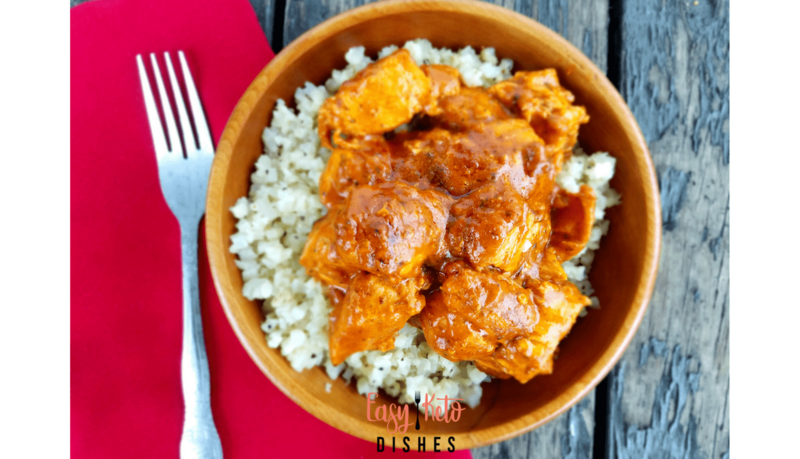 Thanks so much for including my chicken groundnut stew! I’m definitely going to have to give some of these other recipes a try! Thanks for including my Easy Mexican Chicken Bake on this list! I shared this great round-up on PInterest!! Thanks for including me and Butter Chicken!